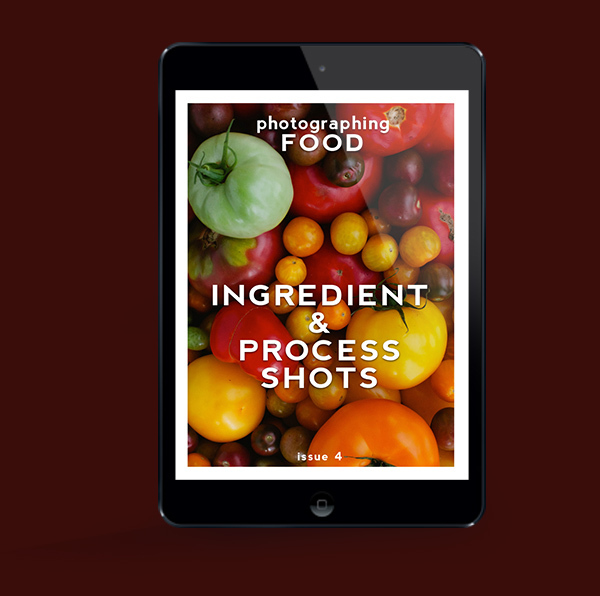 The photographing FOOD PDF series is the best way learn that food photography skills you need to sell your food! 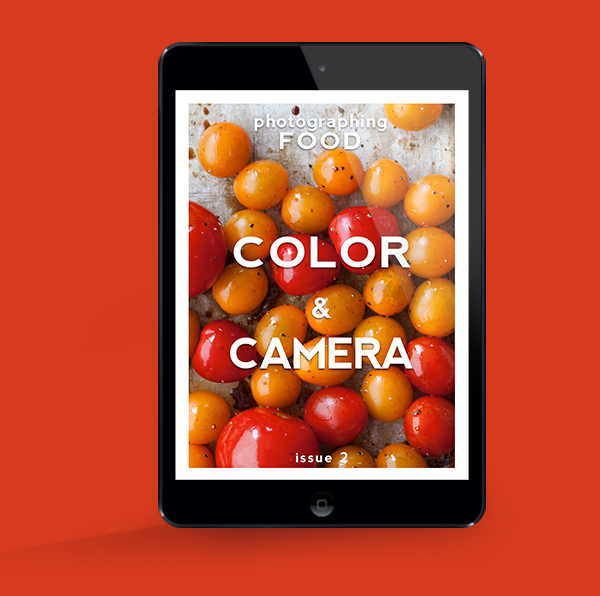 The full colored PDFs show you everything that goes into making food look as good as it tastes. As you learned in the FREE Introduction to Food Photography Course, food provides photographic challenged not found in other subjects. 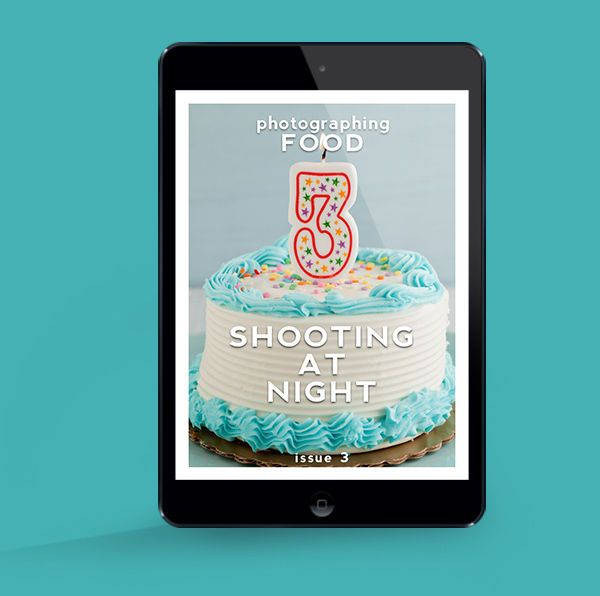 The series is designed to focus on a specific aspect of photography and how it relates to shooting food. Have you been struggling with finding ways to create beautiful images of your food using artificial light? Issue 3 of photographing FOOD will address this problem! 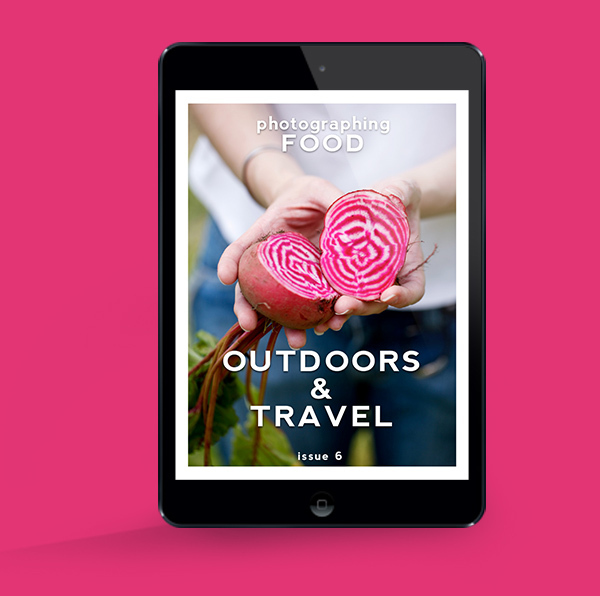 This 33 page full color downloadable PDF has everything you need to know to start taking beautiful pictures once the sun has gone down! 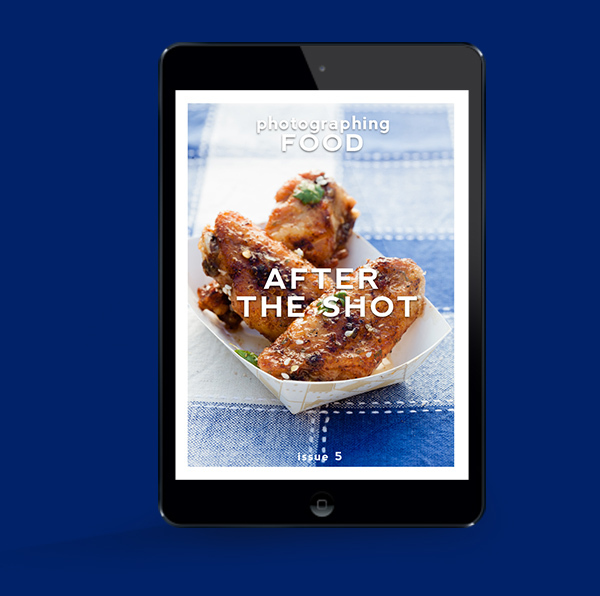 The 40 pages of Issue 4 will inspire you to explore shots before the food is plated. From hobbyist to professional, there is something that every photographer can take away from this issue. What you shoot your food on is just as important as the subject you are shooting. A well chosen background can tell a story, complement the subject, and make for a stronger and more powerful image! Paper, tile, wood, fabric, stone, etc… with so many options how do you choose? 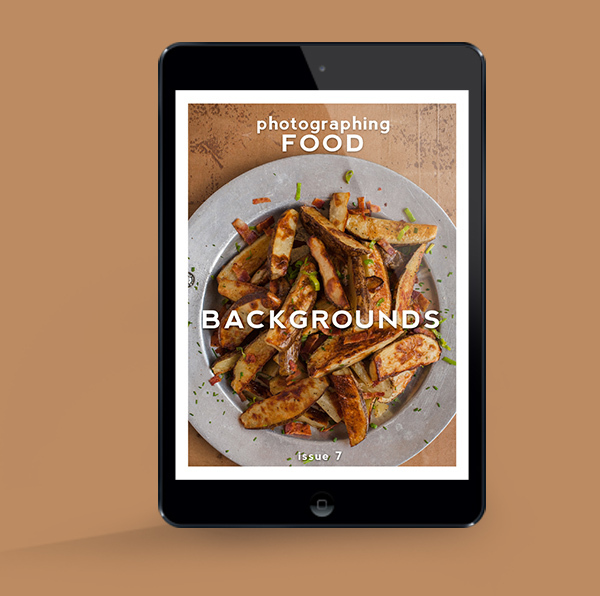 In this 39 page Issue 7 of photographing FOOD, I will show you some of my favorite backgrounds that are readily available right in your grocery store. Feeling artistic and want a completely custom background? I will show you how I paint, stain, and even decoupage my way to beautiful one-of-a-kind backgrounds that are perfect for any type of cuisine! 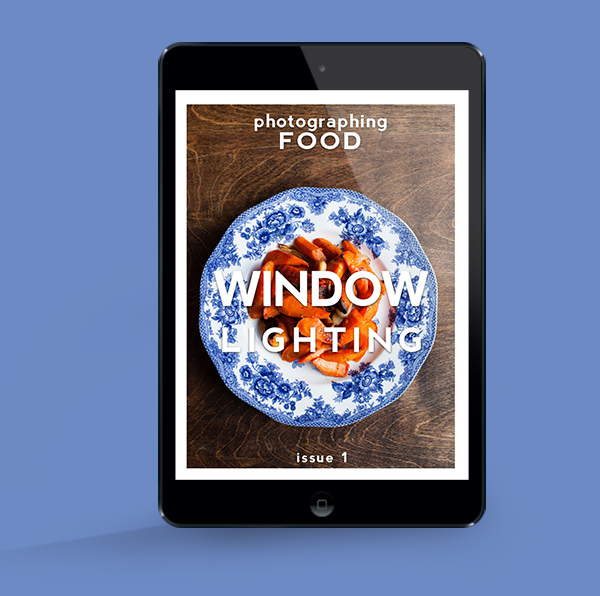 This issue is all about modifying the artificial light that you learned to create in Issue 3. Throughout these 37 pages you will learn what lighting modifiers are and how they can be used to shape and change the quality and direction of the light you are creating. This issue focuses on modifying a single light set-up. 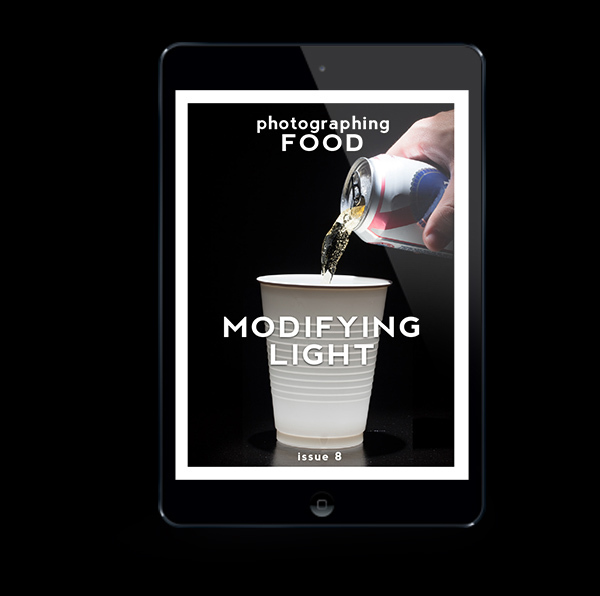 From DIY set-ups made from an acrylic light panel to my favorite professional grade lighting modifier, this issue is filled with examples, tips, and techniques that any level of food photographer will love!